The full "making of / interview" I produced for the German edition in 2015. Lots of rare trivia and anecdotes in this 12 min featurette, enjoy! That is an excellent and very interesting feature. I wonder why hadn't seen it yet. Thanks for the many insights! Thank you for watching and the kind words, Mosquito! If I had the time I would write a book about it, this is only an overview of what went on behind the scenes... Producer Arthur Goldblatt kept a journal while making it and told me he might turn it into a book but I dunno if that's gonna become a reality. 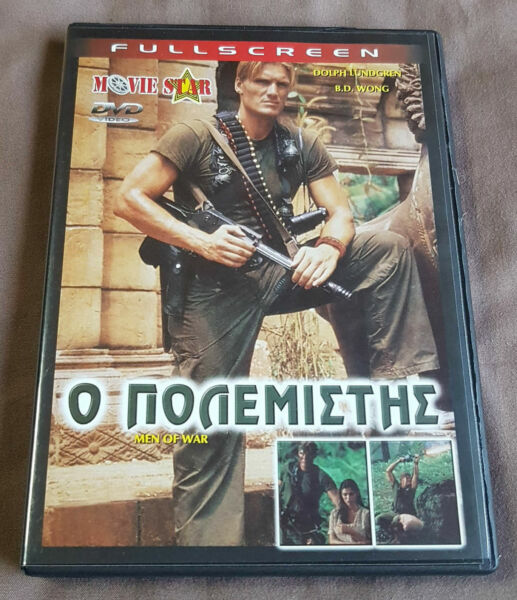 A Greek DVD edition I had never seen before. 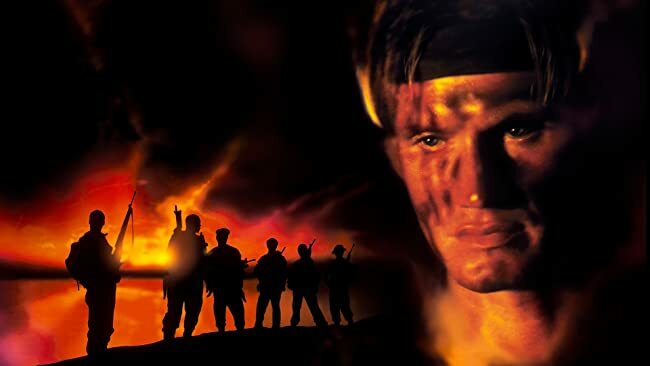 In particular, this "The aspect ratio is 2,35:1 but the Blu-ray of Men of War on this double feature release is sourced from the already zoomed US master by Miramax. The added framing with black bars to achieve 2,35:1 aspect ratio results in cut off heads and objects. When you compare with the German/Austrian Blu-ray which is sourced from a different master, you can clearly see the faulty framing of the Metropolitan Disc." I personally don't agree with the assessment of this Amazon review. I worked on this French edition, we addressed and investigated the matter. The German release has indeed a bigger frame because the anamorphic lenses captured a 2.20 aspect raio, but it's not the way the film is meant to be seen (it would be like watching a 2.35 film in 1.78 or 1.33) which is in 2.35 ratio. The color grading has also been quite altered with on the German edition with excessive DNR and a greenish/blueish color grading that's not doing justice to the beautiful photography of this excellent film. So could you someone perhaps give me their review of the Germany Blu-Ray (the one with the features aka the Dolph interview and such) compared with the one with The Peacekeeper? For example, does the German one have DNR problems or so forth? I know that's been a problem with a lot of Oliver Krekel (the guy behind those Platinum ones) for a lot of past releases. I really want to get this flick on Blu-Ray and just wondering which is the best one to get? ramboraph4life wrote: For example, does the German one have DNR problems or so forth? I know that's been a problem with a lot of Oliver Krekel (the guy behind those Platinum ones) for a lot of past releases. If it is the same as the video release that means it is also 19 minutes shorter than the US release? Wonder if there will be that VHS throwback edition at the WoH. I'm so looking forward to the event!